Sometimes the best way to understand code is to compile and execute the code. 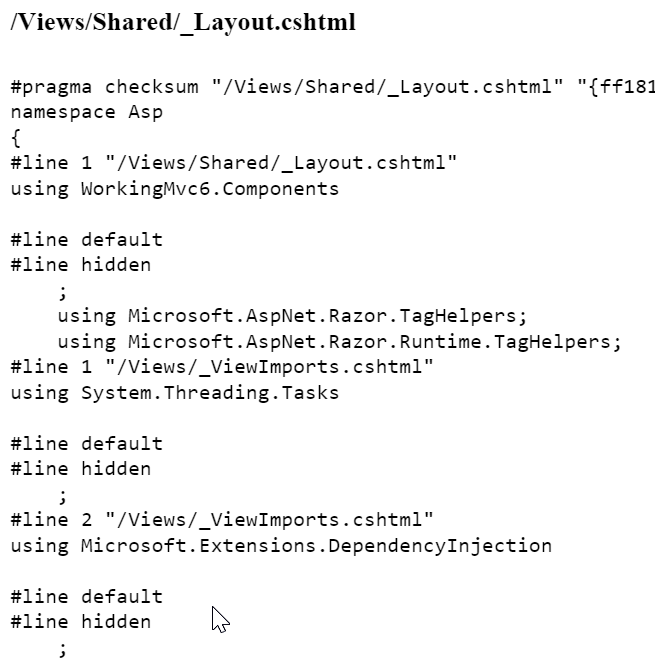 In this scenario I needed to understand a bit more about view compilation in ASP.NET Core. 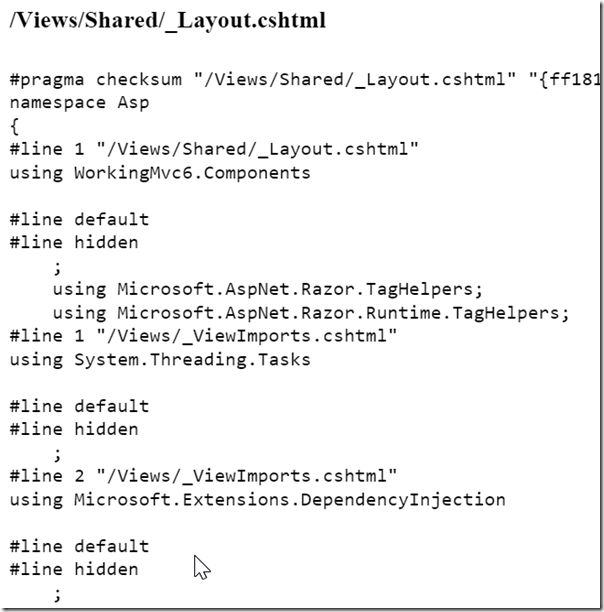 Here is a simple spy to track the file information and compilation results for each razor view. The easiest way to grab information from the class is to register the class as a singleton during Startup::Configure. Note that the real RazorCompilationService runs as a transient service in a typical ASP.NET application, but for this simple experiment we are ignoring all the terrible threading problems that might arise using singletons and regular collection classes like a List<T>. Inside a Razor view we can use the following code to see the compilation results.